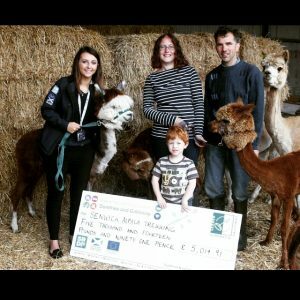 What a year 2016 has been for us here at Senwick Alpacas! 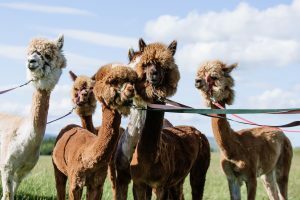 We took our herd of alpacas from 2 to 7 and opened up our farm to visitors who are invited to trek with our adorable boys on a gentle ramble around our Galloway farm. The real excitement began in June when we were granted a rural development grant from Dumfries and Galloway LEADER towards the set up costs and promotion of our diversification into the tourism sector. 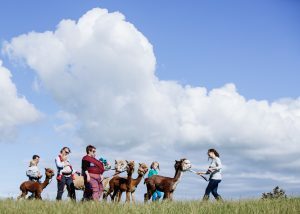 The idea to trek with our camalid friends was seen as a dynamic and original idea that would add to the rich diet of activities already available in our beautiful Dumfries and Galloway. The early part of the summer was spent installing the necessary infrastructure to support our project. 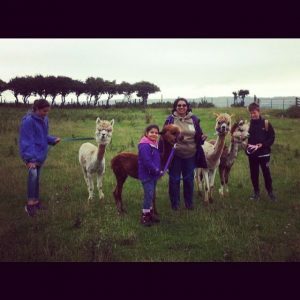 We erected a super duper alpaca shelter to protect our boys from the Scottish elements. 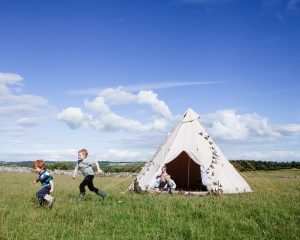 Our trekkers Tipi was erected and work began on this, our rather superb website and other promotional materials. We were ready for our first trek by the start of August and our first trekkers were certainly not disappointed, the boys behaved themselves impeccably (as did our guests!!). 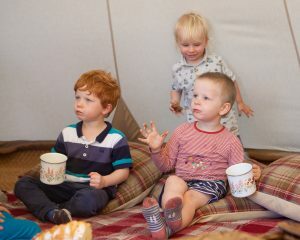 We continued to build up experience throughout the summer adding a Tiny Trek to our repertoire aimed at wee ones, for a short ramble around the paddock, songs and stories before giving the boys a snack. We are now ready to take the 2017 season by storm! Look out for our fun leaflets dotted around Dumfries and Galloway, find us on VisitScotland and of course if you are reading this then you have already found our website! Treks are now fully bookable via our website which means that you can plan your itinerary before your holiday begins and is of course a convenient way to purchase your tickets. Don’t forget that in addition to trekking you can now take away our home reared burgers for you BBQ egg and bacon for your breakfast or a sausage for a sarnie! Meet our four new Nanny Goats (hopefully expecting kids in spring! ), these funny little characters will definitely bring a smile to your face but if you have brought your butties keep them well hidden!! Also look out for details of our Lambing Live days planned for Easter 2017, a chance to experience a day in the life of a working farm, simply observe or get your hands dirty its up to you! Hopefully we will see some lambs born along the way! More Tiny trekker sessions will be added throughout the season and will run during school holidays, keep an eye on our facebook page and news pages for details. Look forward to seeing you in 2017, thank you to all our trekkers and followers, we wish you a happy and joyful New Year!